BCH is the latest coin to feature on digital coins that are available for over-the-counter (OTC) purchases. This brings to 6 the number of top Cryptocurrencies by market capitalization available on the Netcoins system. The Netcoins will now offer three options to prospective BCH traders. First, there will be the Flexipin buy-only option. Under this service, investors will be able to purchase vouchers in Netcoins stores on cash, credit card or debit card. They can then redeem the vouchers online for the BCH. Secondly, there is the Netcoins Virtual ATMs buy-only option where individuals can purchase the BCH on dedicated ATMs across Canada, Australia, and Europe. Under this option, the investors are able to use cash or debit cards on the ATMs. Lastly, there is the option of OTC order desk. This service is for buyers and resellers of BCH worth at least $1000. Under this category, the Netcoins platform assigns a one-on-one broker for customer support purposes. Under this category, the payment mode is either a direct deposit for sellers or wire transfers. These options are competitive in many aspects and unbeatable not only on the factor of flexibility but wide coverage in high volume regions. BCH is the fourth most lucrative coin by market capitalization. At $627 BCH is valued at $10.8 billion behind only BTC at $125 billion, ETH at $29 billion, and XRP at $13 billion. 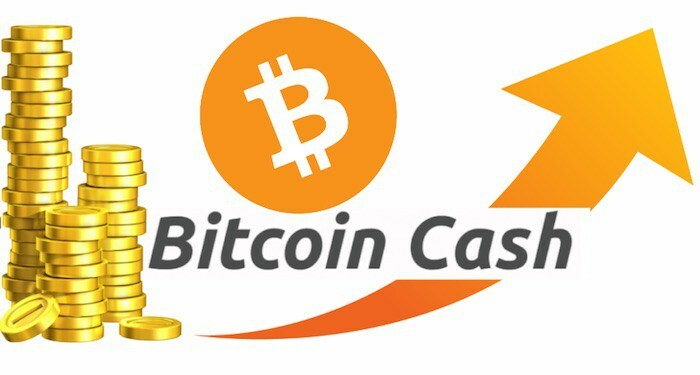 The main strength of BCH is that it is considered as a fork of the Bitcoin and is also supported by Bitmain, the manufacturer of Bitcoin mining chips. Additionally, at 8 MB scalability, BCH mining is scalable in contrast to BTC 1 MB allowance. Netcoins CEO Mark Binns is confident that BCH popularity will propel the network to market prominence. An Atlanta based Bitpay recently announced that they are accepting the Bitcoin Cash in their merchant stores. For efficiency, the retailer is allowing traders to keep part of the digital payments as fiat money for liquidity convenience purposes. Another client, the Pixel Wallet was unveiled to the market. It offers BCH users the ability to link BCH transactions and pictures. In this service, users can code their BCH transactions in steganographic ways to hide the funds from public viewing on the Pixel Wallet network of public ledgers. The blockchain firm is a Vancouver-Canada- based virtual ATM software provider and over the desk Cryptocurrency broker. The mission of the Netcoins is to increase the availability of Cryptocurrencies in the world through customer-minded solutions of transparency and efficiency. Aside from the physical points of sale and purchase crypto services, the Netcoins allows users to directly partake in the services through mobile and tablet applications. The company has seen an increase in clients’ activity with more than $2million in transactions per day in the summer of 2018. Normally, the monthly turnover is $5million worth of crypto transactions.